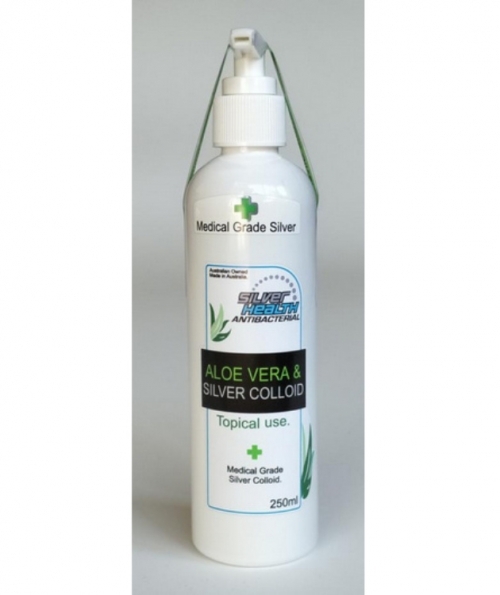 Pure Silver Colloid - Powerful Natural Antibacterial. Combines the soothing properties of Aloe Vera with the natural anti-bacterial benefits of Silver. Ideal for sunburn, after wax care, dry itch skin, cuts and abrasions and anti-aging.